In architecture, the incorporation of subtle details can make all the difference. Small touches and material choices can change the impact of a design to create a truly unique project. 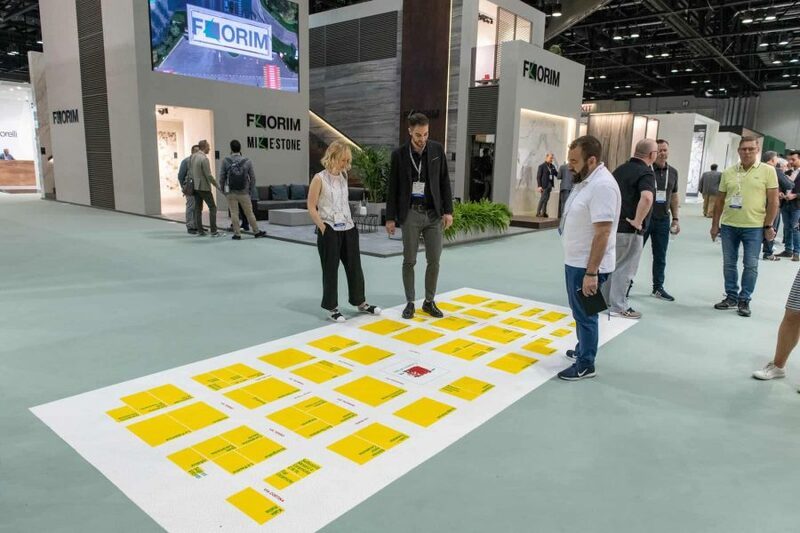 Though large formats and design continuity have become the most common components in architecture recently, a new approach to the use of tile can be surprising and refreshing. Small ceramic tiles lend an elegant and unique air to modern designs and give the designer flexibility to create a stronger visual impact. Though ceramic tile may seem like an outdated format to work in, doubts are assuaged by the valuable aesthetic contributions the material lends to a project. 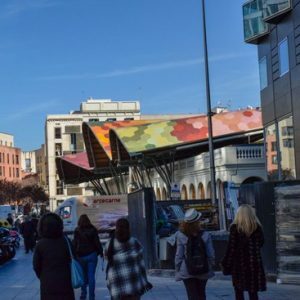 Small tiles not only provide for outstanding architecture, but also transform cities through the visual impact they have on individual sites. 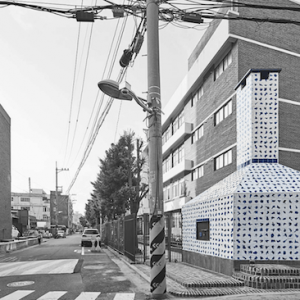 One example of this is the project “Breath-marks” by Urban Society in conjunction with artist Sun Choi, supported by students, teachers and volunteers from Doosan Primary School in Doksan, Seoul. The goal for this project was to transform a waste incinerator that had fallen into disuse into a warm, restful place. 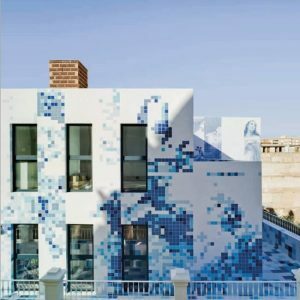 The project involved covering the entire façade of the building with 3,000 15x15cm hand-made tiles. 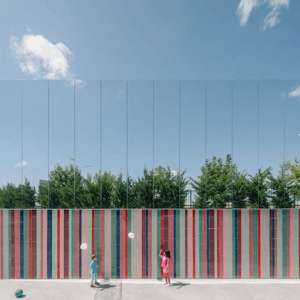 Another outstanding design can be seen in the Edificio 111 project in Barcelona, where part of the communal exterior space was decorated with small brightly colored ceramic tiles to bring energy to the well-traveled space. The architects selected high-gloss tiles in orange, yellow and green hues. 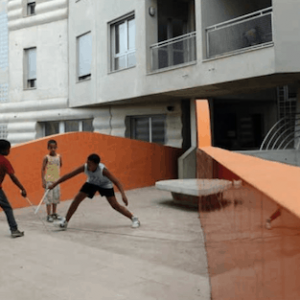 The resulting effect transformed an austere part of the city into a space that breathes new life into those passing by. Tile is often the material of choice for refurbishments and renovations because they allow architects and designers to take creative risks while still preserving the original integrity of the space. 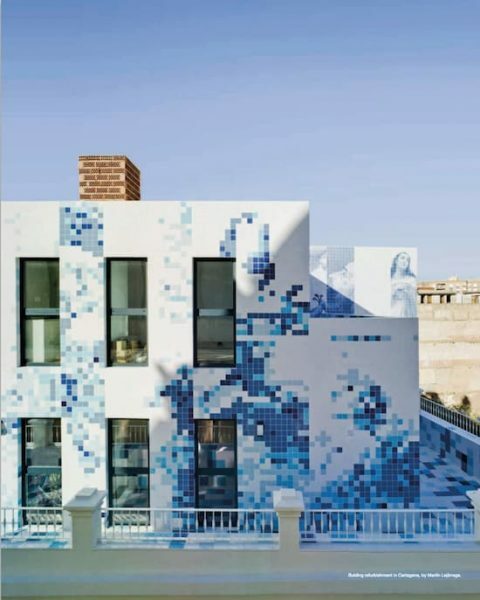 A prime example of this is the above project delivered by Martin Lejárraga in Cartagena, who adorned the façade of a housing block with ceramic tiles as a counterpart to the classic style of the Basilica that stands next door. Another benefit to the use of tile is the way it can be used to reflect the historic culture of an area and its people. The famous roof of the Santa Caterina Market is covered by a mosaic of small glazed ceramic tiles in primary colors and secondary hues that are arranged to create pictures of fruits and vegetables. 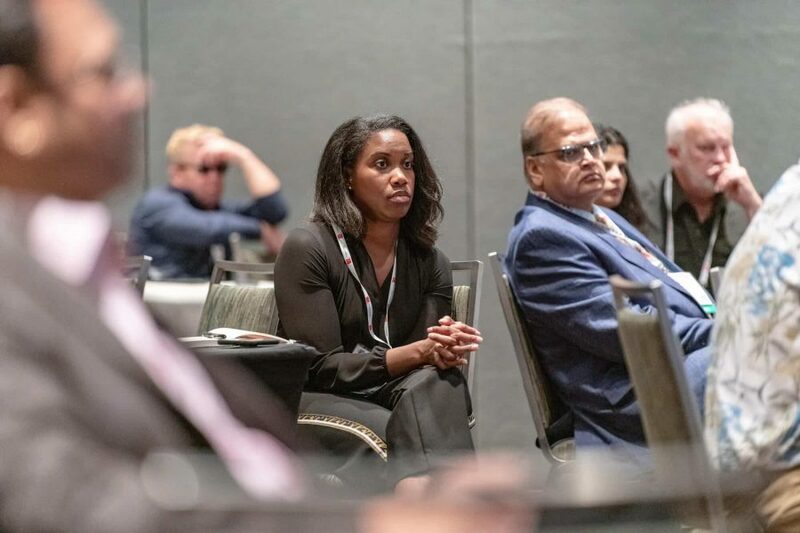 Architects and designers are coming up with a vast array of responses to this much-valued format that offers the flexibility of flat or vertical application in homes, restaurants and more. Small format ceramic tiles can still be used to create the simple, clean spaces that are so popular today— however they also offer boundless potential for groundbreaking design to creative minds. 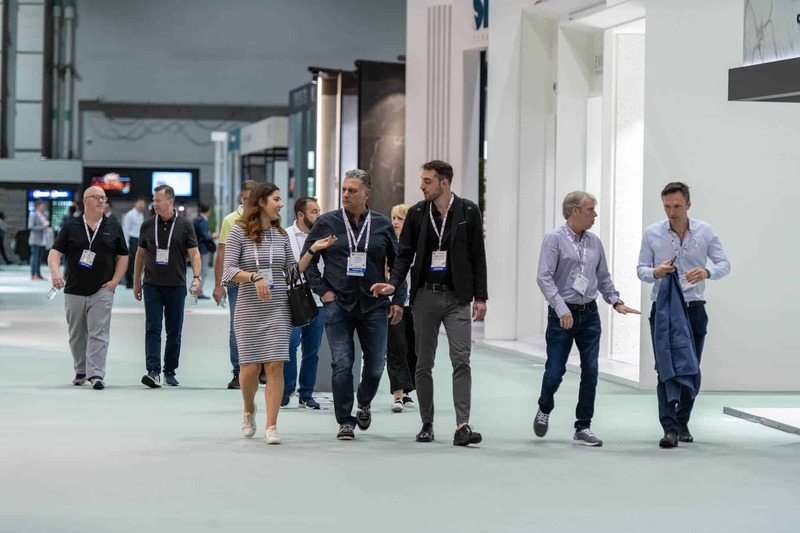 Follow Tile of Spain on Facebook, Twitter, Instagram and Pinterest for the latest trends and innovations – and be sure to visit the Spanish pavilion during Coverings 2019 for even from 98 Tile of Spain manufacturers!